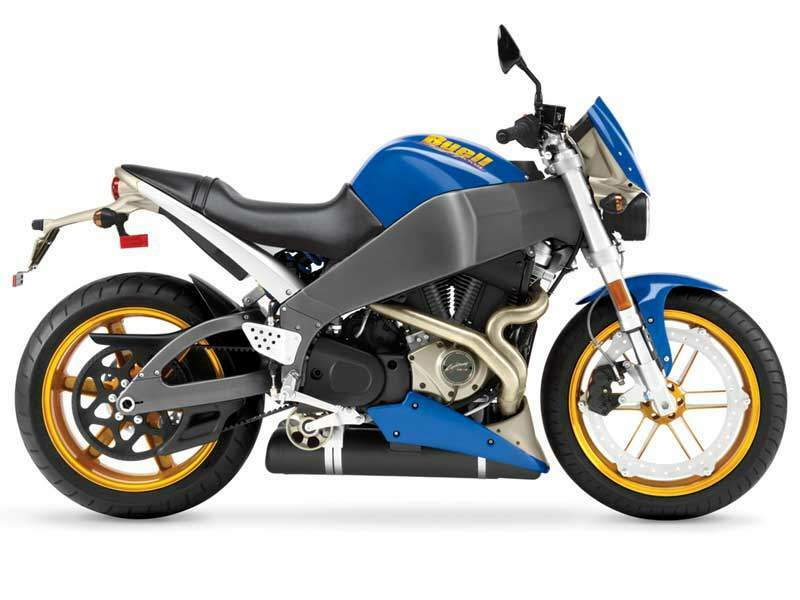 The original Lightning XB12S takes the Buell Street fighter to the edge. The Thunderstorm 1203 V-Twin engine delivers a well-rounded portion of torque, thanks to the Buell InterActive Exhaust, a valve in the dual-chamber muffler controlled by the ECM that adjusts exhaust flow according to riding conditions to optimize engine power. A coarse-texture seat and athletic riding position offer outstanding control. A new, stiffer swingarm and smooth-shifting transmission up the performance ante for 2006. The Lightning XB12S is offered in Midnight Black, or with a new Valencia Orange Translucid airbox cover and flyscreen with Midnight Black front fender and chin spoiler, both with high-gloss Translucent Amber wheels. Buelligan (‘bu:ligun) n A person who rides large engined, slightly eccentric American motorbikes while grinning wildly and playing fast and loose with the Road Traffic Act. It is widely believed that everyone has a dark side. A Mr Hyde, if you like. And if this is the case, everyone has their equivalent of the potion nice Dr Jekyll produced to unleash his less urbane second persona. Eric Buell is clearly an alchemist of no mean skill, because he appears to have found the magic combination of ingredients that have this effect on everybody. 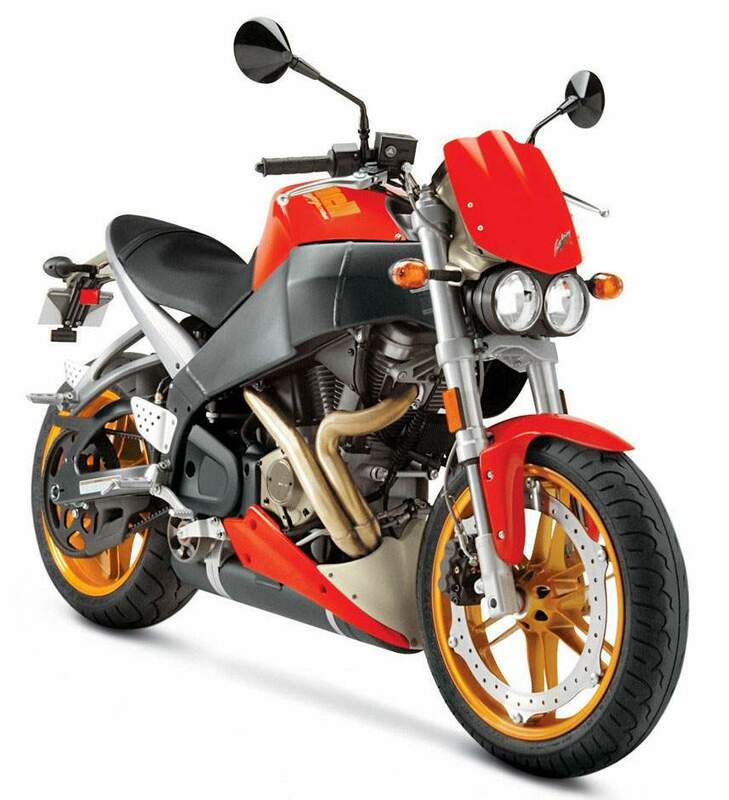 There are some bikes where you can feel Mr Hyde on the pillion seat, muttering and swearing and generally egging you on, regardless of your good intentions. 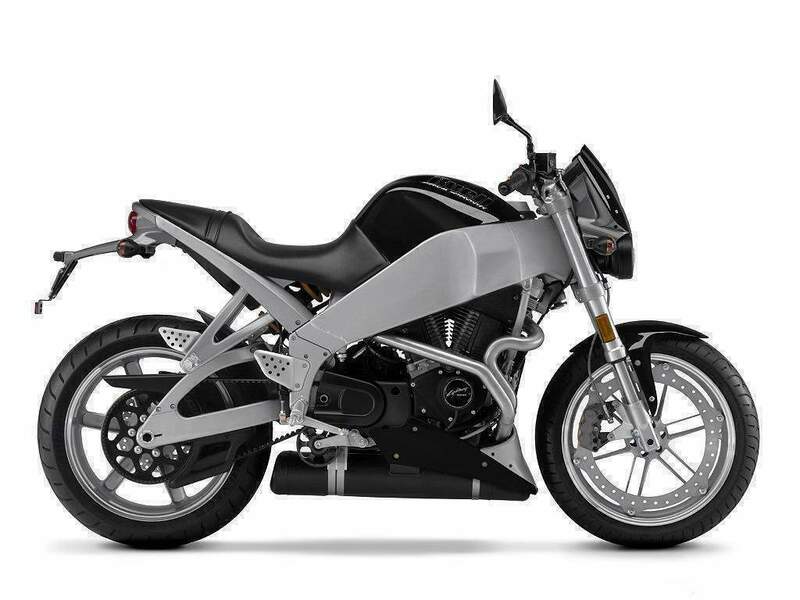 The Buell Lightning XB12-S is not one of those bikes. Oh no. Mr Hyde doesn’t ride pillion on a Lightning. Nice Dr Jekyll is left standing by the side of the road, shaking his head sadly, as Mr Hyde wheelies off into the sunset. This bike would make a Buelligan out of an IAM examiner. But before we go into the nitty gritty of what it is that makes the Lightning so, um, special, let’s clear up a few basic facts. The Lightning isn’t very big. Most people who noticed the XB12 S badge on the screen misread it and thought it was a noisy 125. I parked next to an RS125 at one stage. Not exactly renowned for being a giant among motorbikes, the little learner legal Aprilia dwarfed the 1200cc Buell. It isn’t what you’d call relaxing at high speeds. The little flyscreen does just as much as it looks as though it will, and as a result you end up either with a bit of a weave from the death grip you are exerting on the bars trying to stay upright or you give yourself an excellent abs workout as you take the strain and try to sit into the howling gale. This Buell isn’t a bike for shrinking violets. People will look and point, and it will draw a crowd when you park up. And it isn’t even a little bit boring. Or conventional. Or characterless. Or uncomfortable. Or unusable. It is, however, great fun, as practical as it can be, stuffed full of character, great in traffic and it sounds like two flatulent skeletons in a dustbin. At least at low revs. But no matter – there is a lovely performance exhaust kit to cure that. The 1200 Lightning is, it will come as no surprise to learn, the bigger brother of the 900 Lightning released last year. As such, it shares the same bleeding edge technology chassis with fuel in the frame, oil in the swingarm, toothed kevlar belt drive and a single, massive brake disc bolted to the front wheel rim. It also has a similar wheezy old pushrod engine with the obligatory box of spanners masquerading as a gearbox. There’s nothing on Earth that mixes the new and the prehistoric in quite the same way as a Buell. And yet, in spite of all that, it works fantastically well. The gearbox, which is frankly horrible, manages to transmit the enormous torque without a grumble and, in fairness, works well enough provided shifts are approached in a deliberate and steady way. Please don’t try to a clutchless shift. You can do it but at the expense of painful noises and crushed toes. And even when it works it will be so violent that you won’t gain anything from the experience and you will just sound like an amateur. The not particularly impressive looking front brake will lift the rear wheel on demand, at any speed you like, while the purposeful looking frame and suspension make short work of the bends. The engine may well redline at 2rpm, but it generates huge amounts of torque from nowhere and doesn’t need to be revved out to give its best. Mind you, it sounds great when given its head and is certainly capable of hustling the bike up to respectable (or totally unrespectable, depending on your viewpoint) speeds in very little time. And that’s one of the little quirks. Of course, there may be times when Mr Hyde is indisposed and you actually get to ride the bike yourself. Expect this once or twice a week. But it’s only fair to let you know what to expect. The first thing you will notice about the Lightning is that it is physically tiny. I know I’ve mentioned it before, but it bears repeating. This is not a big bike. And it feels small when you’re on board, although the engine tall enough to prevent any risk of getting cramped. It feels very well screwed together, and though the clocks may not be the clearest in the world the rest of the controls fall comfortably and easily to hand. Take a glance in the neat and very well positioned mirrors, turn the ignition on, wait for the fuel pump to finish and the check engine light to go out, thumb the starter and feel what 1200cc of off balance vee twin does to a very light frame. And to the rider. Marvel as the clear view of the world in those mirrors vanishes into a haze of vibration. And grin the first of many grins you enjoy as the bike reaches up inside you, goes straight to the dial marked ‘Feelgood’ and cranks it up a few notches. The clutch is surprisingly light for something that has to handle so much potential abuse, although it still has a pleasingly agricultural feel to it. Engaging first is rewarded, if such a term is appropriate, by a loud clunk and a slight lurch forward. Nothing too alarming but enough to make you aware that something is stirring. Accelerate away and, as if by magic, the world behind stops shaking and blurring and all becomes clear in those mirrors. Nice. The transmission is very direct, the throttle response is crisp enough although not exactly razor sharp and the whole thing generally gels together in a very satisfying way. Changing into second, best done very deliberately, remember, sees little change. The bike still bunny hops over speed bumps given half a chance and the front wheel, while far more manageable, is still a little keen to save tyre wear by relinquishing contact with the ground. Handling is very nice indeed. Although hardly a featherweight, the Buell is very easy to drop into corners and tracks steadily and surely under all the conditions I could throw at it. Open road high speed corners sometimes induced a very slight weave, but I think that was down to me rather than the bike, and it certainly never felt as though it were getting out of hand. Turning in requires a deliberate effort but is by no means hard work, and the bike responds equally well to shifting your body as to staying in the seat. Ground clearance is not a problem – I think you will touch your elbow down before anything solid decks out on the bike. The brakes remain powerful and progressive right up to silly speeds, the lights are very good, the horn is as effective as it could possibly be asked to be and the pillion seat is only of any use if you are on very good terms indeed with your passenger. And they are quite bendy. And brave. And not very big. Look, just assume it’s a single seater and you’ll be fine. Around town the Buell is comfortable and narrow enough to get through most gaps without problem. The clutch gets heavy after a while, especially with the tall first gear necessitating quite a lot of slipping at times, and the engine produces an immense amount of heat. Which was great during the winter but which I could imagine would get a bit of a pain, possibly literally, in the summer. I was happily able to ride the Lightning for a couple of hundred miles without any aches and pains although the lack of wind protection, while putting a sensible, licence saving cap on maximum sustained speed, does things a little uncomfortable on the motorway. So don’t take the motorway – this bike doesn’t belong there anyway. To sum up, then. 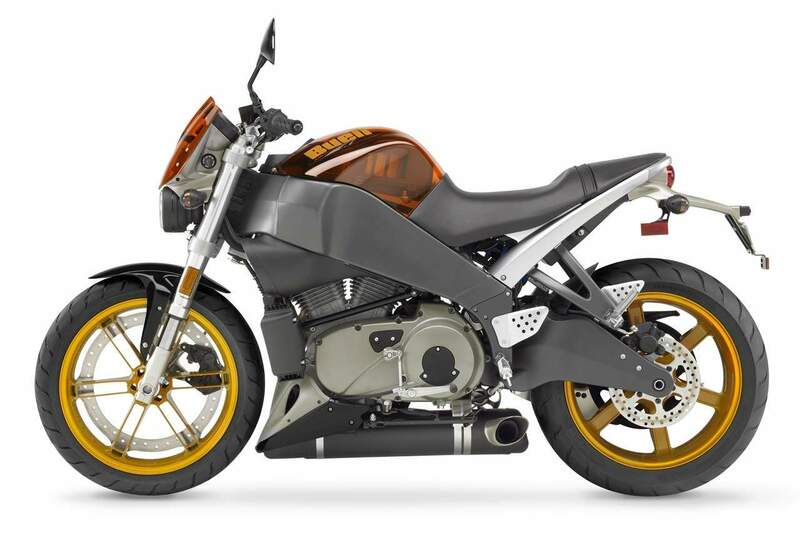 The Buell XB12S Lightning is a character. A flawed character, perhaps, but no less loveable for that. A bit like the kid at school – there’s always one – who’s totally out of control, usually quite clever, takes huge liberties with everyone but somehow avoids getting detentions or kickings because he makes everyone laugh. It’s a great bike. I don’t know for sure that I could live with one if it were the only bike I had, but if I were picking something for riding around, say, within the M25 then it would be very near the top of my list.